Virtual Reality (VR) headset is an output device of our new generation. Many geeks and non-geeks have been experimenting the power of VR headsets for the past two years, and they can prove that VR contents are still unimpressive and expensive. What if you could record your own VR content without having to purchase any expensive set of gadgets? We are excited to introduce to you the new portable Elephone Dual 360° panoramic camera called EleCam 360° that you can carry about in a quest to record VR-like videos of your life without spending much. You do not just shoot videos of your life, but can also reproduce them just as they had happened with the aid of a VR headset. The Elephone Dual 360° panoramic camera can be connected to any smartphone either through the micro USB or USB type-C port and allow you to record 360° photos and VR videos. That is not just all, but, it can also deliver instant sharing and live streaming of VR videos online. 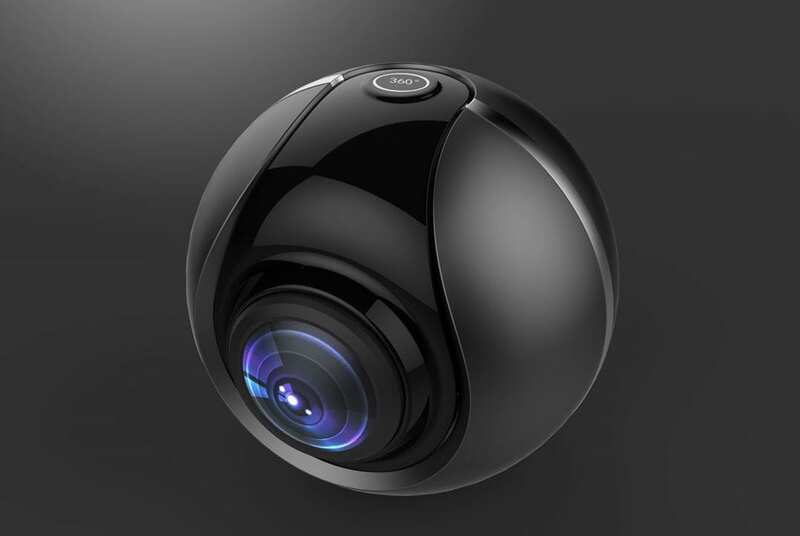 EleCam 360° is a full 360×180 spherical camera that contains two back-to-back lenses that each capture half a sphere and which are then stitched together automatically by the camera just like the MGCOOL Cam 360°. The EleCam 360° panoramic camera is capable of shooting and capturing more detailed and high-quality videos and images distinguishing from other normal cameras. The 360° spherical camera records the best time of your life and makes you relive the beautiful moment. This camera is suitable for many situations such as surfing, parachute, concert, business conference, and so on. You can shoot photos and videos anytime anywhere you like. Nonetheless, few years back, you can spend about $1,000 to get a set of gadgets that can deliver a Virtual Reality video. Let’s say you buy two Kodak cameras for $500, which you need to make you own custom mount to put them back to back, spend another $500 on stitching software, to give the video a spherical view. And now a single camera can do all that, including automatic stitching for less than $200! Did I just mention $200? Well, let’s just hope it is not above that a bit, that is just a mere expectation as we have got no information on pricing yet. Elephone will give the camera a pocket-friendly price. Virtual reality has never been this painless. You can easily keep it in your pocket and attach it to your phone to get a panoramic shot when you need it most. Elephone is known for producing premium smartphones until recently when it became interested in making action cameras. The company has released several GoPro-like cameras including a top-of-the-line model that supports 4K. All of their cameras are very well priced, though, but correspondingly do not present the latest and greatest specs.